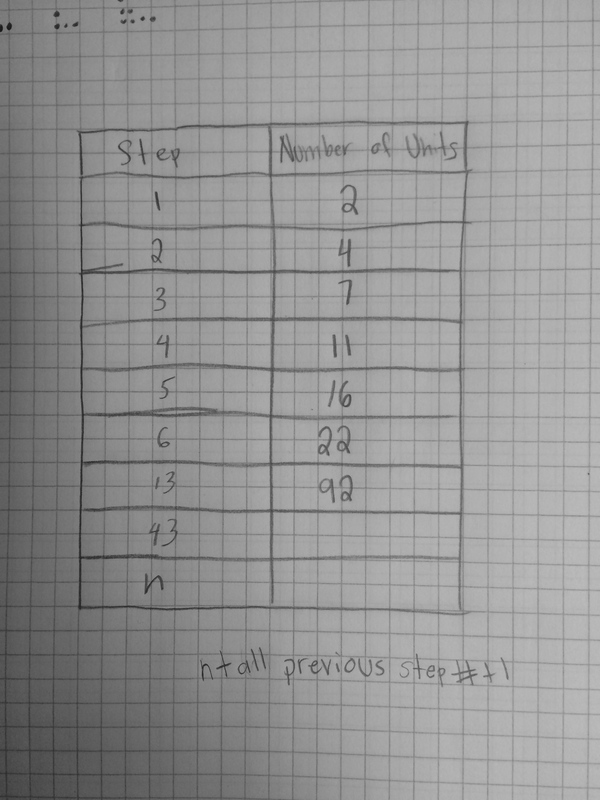 After completing steps 1-4 the class quickly saw that each time, the step added with the previous step’s unit count to get the new unit amount. From there, they struggled to get to the nth expression. They tried a bunch of different things, as you can see on this paper and saw various ways it was growing, but could not come to an agreement on this one! 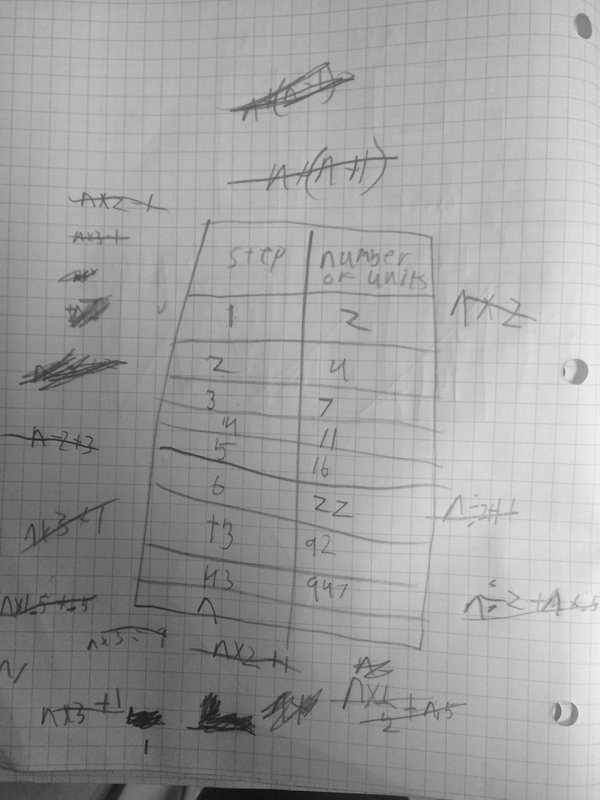 On their calculator they could get the 43rd step, but if I asked about the 100th, they would just continue adding on the calculator. 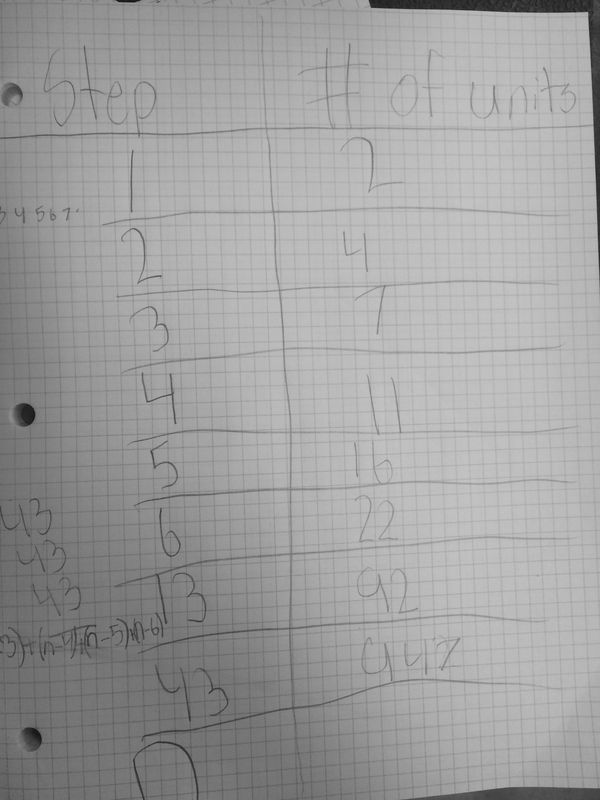 In their explanations, they kept saying that they would visually “set that one penguin on the bottom row aside and then it would be 3+2+1 or 4+3+2+1…etc” And then one student came up with this at the bottom of their paper.. They wanted me to tell them what it was, but of course I would not:) I will let them sit with that overnight and do a Notice/Wonder about consecutive numbers tomorrow to start our day together. I am thinking after some noticing, they will be able to apply it to this work! 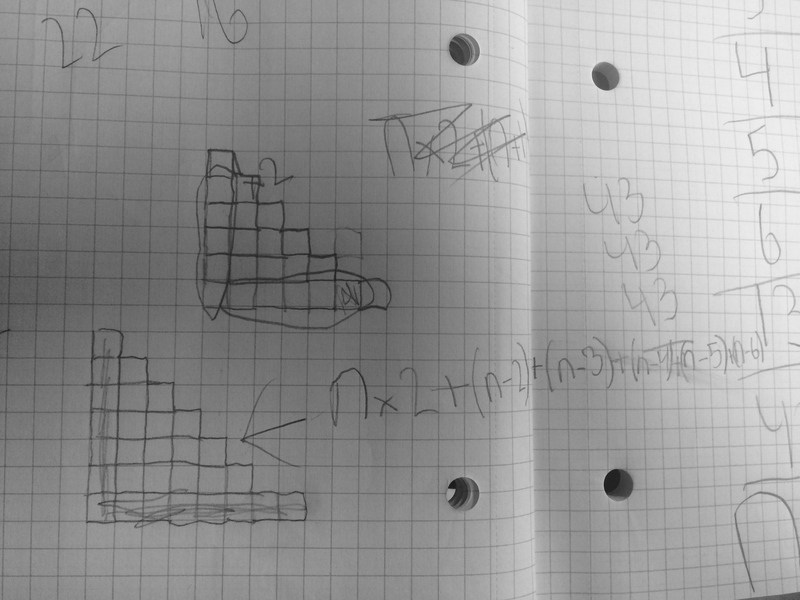 This entry was posted in 5th Grade, Math and tagged Visual Patterns on February 9, 2015 by mathmindsblog. 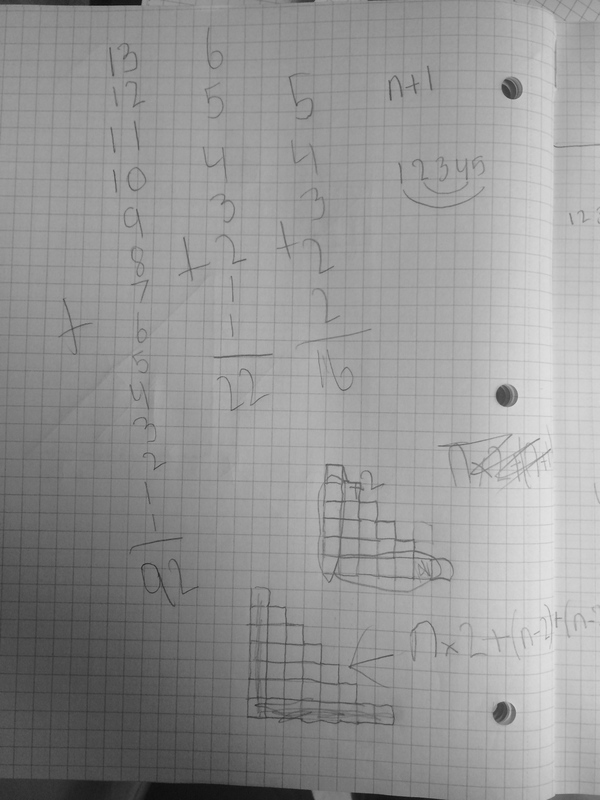 Thanks for sharing this terrific activity and student thinking.